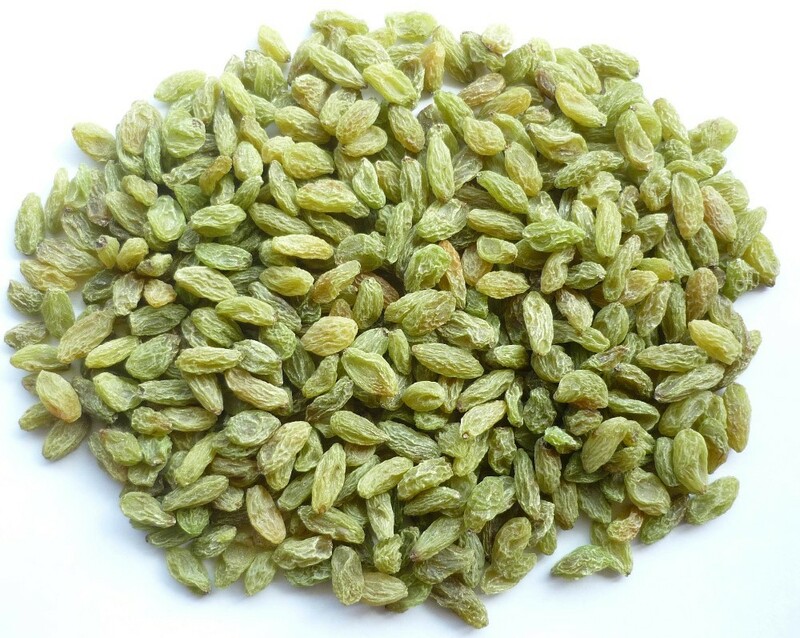 Green Raisins, also known as long raisins are produced mostly in north-east of Iran. This kind of raisins are famous for their special sweet and sour taste and long-length shape. They are produced by using a sulfur fumigation process and are shade-dried, making them green in color. Green raisins are popular for those who dislike the intense sweet flavor of the other types of raisins. Green Raisins are dried, coated with vegetable oil, stemmed, mechanically cleaned, laser and hand sorted then material-detected under extreme care of hygienic conditions and with legal and safety requirements and customer special specifications.